So you’re expecting! What exciting news! You are sure to have a million questions, and you’ll need one or more good pregnancy books to see you through. Maybe you aren’t pregnant yet but are planning to conceive. Lots of pregnancy books have helpful information and advice about the pre-conception period, too. Online resources are great, but for this important time in your life, you’ll need a book by a trusted author or panel of authors. The right book for you will depend upon your own needs and values. You may want something that concentrates on medical advice, or you may want a natural, holistic approach. You may want something written by a highly credentialed expert, or you may prefer a celebrity author with the ability to inspire readers or make them laugh. Some books are fun to read straight through, and others are more useful as reference books. Both types should be well-organized and indexed, with a typeface that’s easy to read and not too many distracting elements. There are lots of other books that you may want to purchase during your pregnancy. There are cookbooks and exercise books, as well as journals for you to record your own pregnancy journey. These can be valuable additions to your library, but for this list, we concentrated on general information books. Today many readers enjoy electronic books or audio books. For this particular purpose, however, many moms prefer a traditional book, one that doesn’t depend on a wireless connection or a fully-charged battery to be operational. If you are shopping for a pregnancy book, here are a few factors to consider. Date of Publication. Because science and medicine are constantly advancing, you should choose a book that has been recently published or has been recently updated. Reading classic books about pregnancy and childbirth can be entertaining and even informative, but your go-to book should have a recent publication date. Some of the classics in the field are still relevant because they are updated often. If you choose one of these, be sure to get the latest edition. Author’s Credentials. Be sure that the author has the proper credentials for the information that you are seeking. If you primarily want medical information, look for a book by a medical doctor or a team of doctors. If you want a more holistic approach, look for someone grounded in natural methods. Books by celebrities can be just fine, as long as they have done their research or have enlisted help from more qualified individuals. Visual Elements. Pregnancy books may be very image-heavy, or they may have very few images. You should pick a book that suits your needs and preferences in regard to images. Other visual elements, such as bulleted lists, charts, and graphics, can be helpful by providing information in an organized, easy-to-understand way. Readability. Some people enjoy a casual, conversational writing style, and, other want just the facts, please. When you choose a pregnancy book, be sure that the style doesn’t rub you the wrong way, or you’ll get irritated every time you pick up the book. If you are shopping in a bookstore, open up the book in a couple of random places to sample the style. With the “look inside” feature, you can do much the same thing online. Organization. Scan the table of contents to see how the book is set up. There should be an organizational pattern that makes sense. Also, check the end of the book for extras and for a good index. If you have a strange symptom in the middle of the night, you won’t want to scan the entire book to find an answer. Documentation. If you are the kind of person who double checks everything, be sure that the book you choose has a list of sources. These are typically listed as endnotes in the back of the book. Without endnotes, you’ll have to trust your author’s knowledge and judgment. To get the most out of your pregnancy book, you’ll need some way to mark the parts you want to remember. Sticky tabs are the best way. After you’ve marked a page, you can highlight, underline or write notes to yourself. There’s no advantage in keeping your pregnancy book in pristine condition. You buy this kind of book to use it. If you prefer your book in electronic format, you can use the bookmark function to mark passages. If you have a little extra in your budget, you may want to buy more than one pregnancy book. One can be your reference book, the one that covers almost every imaginable subject. Another should be a book that simply gives you good vibes. Pregnancy and childbirth can be challenging, and it’s good to have a book that feels like a friend by your side. You also might buy a book because it’s funny. Laughter is great medicine when you are expecting. It’s also perfectly okay to use a book that you’re not 100 percent in agreement with. You can take the parts you need and discard the rest, much like a good friend who has sound advice most of the time but who occasionally must be ignored. Most pregnancy books have something to say about the big decisions that face moms-to-be, such as hospital vs. home delivery and doctor vs. midwife. Then there’s the decision of an unmedicated birth versus an epidural or other pain relief. And now many moms wonder, do I need a doula? A good pregnancy book can help you make an informed decision about these questions, but it shouldn’t be your only source of input. Your care provider should be your main source of information and insights. Of course, you’ll also want to consult your spouse or partner. In addition, it’s wise to remember that every pregnancy is different, and some pregnancies take unexpected turns. It’s great to have a plan, but it’s also great to accept that possibility that your plan will have to change. That’s good practice for being a parent. With all of this information in mind, let’s take a look at the best pregnancy books. Dr. William Sears, associated with the attachment parenting movement, turns his attention to pregnancy in this tome of over 400 pages. 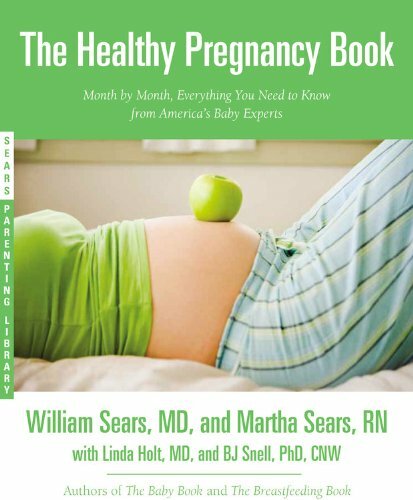 Written with his wife and usual collaborator Martha Sears, “The Healthy Pregnancy Book” is subtitled “Month by Month, Everything You Need to Know From America’s Baby Experts.” The book covers typical topics such as body changes that occur during pregnancy and less typical subjects, such as how to tell your employer that you are pregnant. “The Healthy Pregnancy Book” was written to replace an earlier book, “The Pregnancy Book,” first published in 1997. According to the introduction, the book was rewritten to reflect new information about how a mother’s behavior while expecting not only influences the course of her pregnancy but also has an impact on her child’s health. In order to make this book as complete and authoritative as possible, the authors brought in an obstetrician, Dr. Linda Holt, and a nurse-midwife, Dr. BJ Snell, as contributing authors. The Sears author duo is adept at coming up with catchy phrases and acronyms. Expectant mothers should “graze, sip and dip.” Moms should develop L.E.A.N. habits (lifestyle, exercise, attitude, nutrition). Another distinctive feature of this book is artwork featuring an unborn baby offering comments. Some readers liked this feature, and others found it unhelpful and annoying. The book is also sprinkled with segments labeled “Science Says.” Some readers will be disappointed, however, that these segments have no specific citations so that readers can learn more on their own. “The Healthy Pregnancy Book” was published in 2013 by Little, Brown, and Company. Readable. “The Healthy Pregnancy Book” is easy to read but doesn’t feel dumbed down. Two Formats. This book is available as a paperback or as an electronic download (Kindle or Nook ). Lengthy and Detailed. This book is 464 pages long. Month-by-Month Approach. Readers appreciated the breakdown of what is going on during each month of pregnancy. Not Alarmist. Readers liked that this book does not emphasize all the things that can go wrong as some pregnancy books do. Good Info on Hormones. The book contains a thorough explanation of hormones and the roles they play in pregnancy and childbirth. Well-Organized. The book begins with general information then follows a chronological format. It also has a useful table of contents and index. Well-Qualified Authors. The authors have a combination of education, training and personal experience. Old-Fashioned. The language of the book isn’t as inclusive as it could be, mostly referring to moms and dads and ignoring other types of families. Biased Toward the Natural. Some readers said that they were put off by the assumption that natural is always best, feeling that it sets up some moms for failure. Few Scientific References. The authors provide no footnotes or other citations for scientific data. A book written by a committee may not always be the best choice, but it’s okay when the authors of the book include more than a dozen people associated with a prestigious institution. “Mayo Clinic Guide to a Healthy Pregnancy” is subtitled, “From Doctors Who Are Parents, Too!” The book is divided into six parts: Enjoying a Healthy Pregnancy, Pregnancy Month by Month, Baby Is Finally Here, Important Decisions of Pregnancy, Symptoms Guide and Complications of Pregnancy and Childbirth. If you are expecting a dry, scientific tone, you’ll be surprised. The book is written in a readable style, making assertions such as “pregnancy is not a time to pig out.” The language will please some readers and disappoint others, who might have been looking for something on a higher level. Also, for a book produced by a reputable institution, it contains very little scientific data. 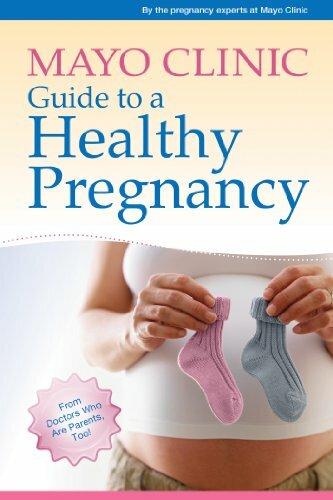 “Mayo Clinic Guide to a Healthy Pregnancy” was published in 2011 by Good Books. Readable. “Mayo Clinic Guide to a Healthy Pregnancy” is readable although it was written by doctors. Two Formats. This book is available as a paperback or as an electronic download (Kindle). Length and Detail. This book is 512 pages long. Month-by-Month Approach. Readers appreciated the monthly summaries, which include exercises to prepare the body for birth and a little bit about the emotions that go with each stage. Illustrations. The book contains images that show a baby’s development, which most readers liked. Well-Organized. The book has a detailed table of contents and index and is generally easy to use. Objective Tone. The book’s authors present information but don’t show obvious biases as some authors of pregnancy books do. Well-Qualified Authors. The authors have an impressive assortment of credentials. Negative Emphasis. Some readers found that this book contained too much emphasis on all the things that can go wrong. Not Unique. Many readers felt that this book contained very little that isn’t readily available online. Few Scientific References. The authors provide very little in the form of citations for scientific data. 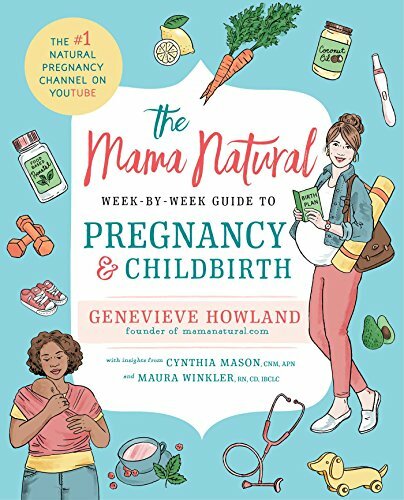 YouTube star Genevieve Howland, also known as Mama Natural, has turned to print to spread the gospel of natural motherhood. In “The Mama Natural Week-by-Week Guide to Pregnancy and Childbirth” you’ll find a winning blend of wit and straight-up information. You’ll learn how a former junk food lover became Mama Natural. You’ll find out about her first pregnancy and delivery and why she vowed to do it differently the second time. Following this narrative portion, Mama Natural delves into a week-by-week exploration of pregnancy. Each week focuses on a different aspect of pregnancy. Week 3, for example, deals with healthy eating, while Week 15 discusses dressing for two, and Week 16 discusses doulas. So while each chapter starts with a brief summary of what’s happening with the baby during that week and what’s happening with mama, that section basically serves as a launch pad for the real subject of the chapter. While this book is a far cry from a reference book, it’s apparent that Mama Natural has done her homework. She also called on RN and doula Maura Winkler and midwife Nancy Mason for help. From time to time their advice is featured in a sidebar. It’s tricky to write for an audience of people who embrace natural living. Some of your audience will think you’re not natural enough, and others will think that you have gone too far. Still, this book will fit the tastes of quite a few mamas. The book features light-hearted art and also has lots of features, like affirmations and to-do lists. The layout never feels cluttered, however, and clear titles and subheads make it easy to find the info you need. “The Mama Natural Week-by-Week Guide to Pregnancy and Childbirth” was published in 2017 by Gallery Books. Fun to Read. “The Mama Natural Week-by-Week Guide to Pregnancy and Childbirth” is not only easy to read, it’s actually fun. Three Formats. This book is available as a paperback, as an audio book or as an electronic download (Kindle or Nook). Weekly Approach. The organization by weeks is a little bit gimmicky in that there’s not a lot of hard information about what’s going on during the pregnancy during that week. Length and Detail. With 528 pages, Mama Natural’s book has a lot of length and detail. Illustrations. The images are fun and add to the book although they aren’t usually informative in nature. Well-Organized. The book is cleanly organized and has a detailed table of contents and index. Well-Qualified Authors. While Howland does not have medical training, her consultants have a wealth of experience and qualifications in pregnancy and childbirth. Not Unique. Some readers who are fans of Mama Natural’s online persona felt that most of this material has been covered on her blog and other online resources. No Scientific References. There are no citations to back up the author’s assertions. According to the website, “What to Expect When You’re Expecting” is read by about 93 percent of women who read a pregnancy book. First published in 1985, the book that is commonly referred to as WTEWYE has spawned a number of related books, apps, and other products. Most books that are very popular eventually suffer a backlash, and that is true of WTEWYE, which has its share of haters. Still, those who come to it without preconceived notions will find a wealth of information provided in a straightforward way. This book created the blueprint that most pregnancy books follow: an introductory section, followed by a chronological section that traces the progress of the pregnancy, followed by a section dealing with related issues. The author of WTEWYE, Heidi Murkoff, was inspired to write the book when she was pregnant and couldn’t find answers to her questions. The 5th edition, published in 2017, is billed as “completely new and revised.” It is published by Workman. Sharon Mazel has joined Murkoff as the author of the recent editions. Readable. “What to Expect When You Are Expecting” is basic information with just a hint of humor. Three Formats. This book is available in a hardcover edition, as a paperback and as an electronic download (Kindle or Nook). Monthly Approach. The monthly approach is thorough and detailed, telling pregnant women exactly what to expect during each month of gestation. Length and Detail. At 656 pages, this book contains a lot of detail. Few Illustrations. This book contains mostly simple anatomical illustrations. Well-Organized. The book is dense but well-organized with a detailed table of contents and an index that spans 40 pages. Well-Researched. While Murkoff is not a doctor, this book is clearly well-researched. Alarmist. Some readers find that the wealth of information in this book increases their anxiety about things that can go wrong during pregnancy. Mommy blogger Jill Krause’s contribution to the field of pregnancy books is a more serious book than the title might suggest. “50 Things to Do Before You Deliver: The First-Time Mom’s Pregnancy Guide” covers serious tasks like figuring out whether an obstetrician or midwife is right for you and planning for maternity leave. Of course, enjoying a mocktail is also on the list. All in all, it sounds like a mix of serious topics and fun diversions, and that’s not a bad combination for a pregnant woman. The book is organized by trimesters, with tasks to be completed in each one. Extras include a list of resources for new parents and a special section for dads. This might not be the only pregnancy book that you need, but it is a fun addition to the genre. Krause’s voice is not the only one heard in this book. She solicited contributions from friends and care providers, so the medical community is somewhat represented in this book. 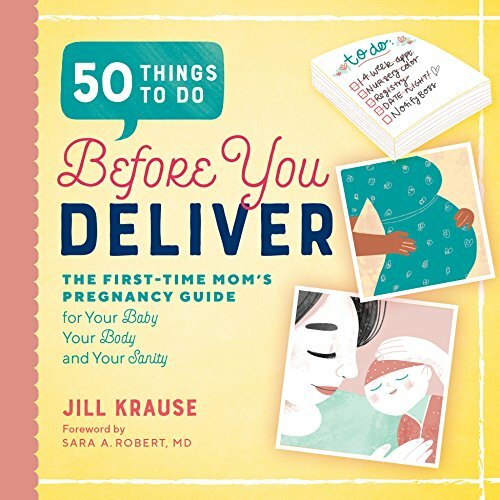 “50 Things to Do Before You Deliver” was published in 2018 by Rockridge Press. Readable and Funny. “50 Things to Do Before You Deliver” is written in a humorous, conversational style that makes you feel as if your funniest girlfriend is talking to you. Two Formats. This book is available as a paperback and as an electronic download (Kindle). Trimester Approach. The book is organized around tasks to do each trimester, which gives the book form, but many tasks honestly could be done at various times during the pregnancy. Length and Detail. At 260 pages, this book is ample but not encyclopedic. Minimal Illustrations. This book has very few illustrations. Not Fact-Based. While this book talks about decisions that moms can make during pregnancy, it doesn’t offer much in the way of hard facts to help moms make those decisions. Few Scientific References. There are no citations to back up the author’s assertions. If you’re a Jillian Michaels fan, you’re probably familiar with her combination of cheerleading and tough talk. If you’re a mom-to-be and that combination appeals to you, you’re in the target audience for this book, which may have the year’s longest subtitle. “Yeah Baby” is subtitled “The Modern Mama’s Breakthrough Guide to Mastering Pregnancy, Having a Healthy Baby and Bouncing Back Better Than Ever.” Whew. Just reading the complete title is a workout. This book is different from lots of pregnancy books by celebrities because Michaels has never given birth. So what is her book based on? As Michaels shares early in the book, she was highly involved with the process when her partner, Heidi Rhoades, carried and delivered their son. Michaels also assembled a “dream team” of experts to help her with this book. That team includes an ob-gyn who is also certified in holistic medicine, an endocrinologist, an expert in fitness during pregnancy, a registered dietitian and a pediatrician. Besides the expected emphasis on exercise, Michaels also advocates for organic food and a lifestyle that is as free of chemicals as possible. She advises eating only organic meat and dairy and steering clear of a multitude of other substances, such as trans fats, artificial flavorings, and preservatives. To her credit, she does provide extensive endnotes for each chapter. 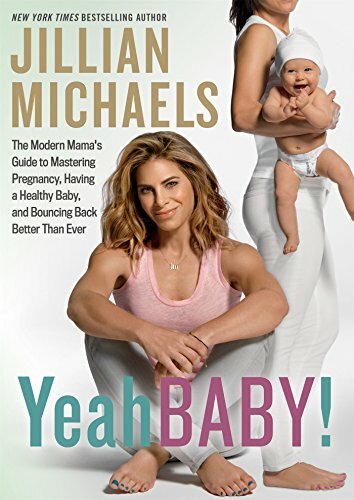 “Yeah Baby” was published in 2016 by Rodale Books. Readable. “Yeah Baby” mixes a conversational style with straight information, clearly explained. Four Formats. This book is available as a paperback, as an audio download, as an audio CD and as an electronic download (Kindle or Nook). Before, During After. The book is organized around preparing to become pregnant, the pregnancy itself and the “fourth trimester” after baby’s birth. Length and Detail. At 384 pages, this book is good-sized, although a fair amount of space is taken up by exercises and recipes. Illustrations. The illustrations in the book are mostly to demonstrate exercises. Well-Organized. The book follows a logical organization and has helpful appendices in the back, as well as an extensive index. Scientific References. Michaels provides citations for many of the assertions she makes in her book, and the sources cited are mostly scientific and medical journals. Well-Qualified Authors. Michaels and her consultants have solid credentials and a lot of experience in their particular areas of expertise. Sometimes Alarmist. Michaels may spark unnecessary fears by suggesting that food can be the “root of horrendous health issues” and by advocating that women should have extensive testing before becoming pregnant. Sometimes Extreme. Some of the standards that Michaels suggests for nutrition and for reducing chemical exposure aren’t workable for ordinary people with normal resources. Have you ever felt that pregnant women are sometimes shielded from real truth? 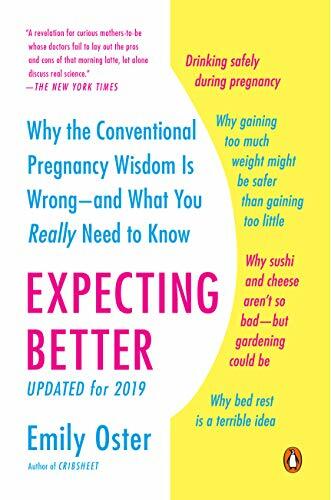 If so, you need “Expecting Better: Why the Conventional Pregnancy Wisdom is Wrong – And What You Really Need to Know.” An economics professor at Brown University, author Emily Oster is an unlikely baby expert. When she became pregnant, she expected to make data-driven decisions about pregnancy and childbirth. Instead, she says she was presented with arbitrary rules and expected to accept the conventional wisdom that was poorly supported by research. She set out to look at the real data. Oster introduces each pregnancy issue in a readable, anecdotal way, then looks at the evidence before presenting the reader with a “Bottom Line” of provable assertions. For example, she agrees that age decreases the likelihood of conception – “but not as fast as you might think! 35 is not a magic number cutoff!” About drinking coffee when pregnant, she concludes that all evidence suggests that up to two cups daily are fine, and most evidence suggests that three to four cups is okay, too. This book has created controversy, with some doctors disagreeing with Oster’s conclusions and many women saying that they always prefer to err on the side of caution. On the other hand, many women have found this a refreshing change from typical pregnancy books. 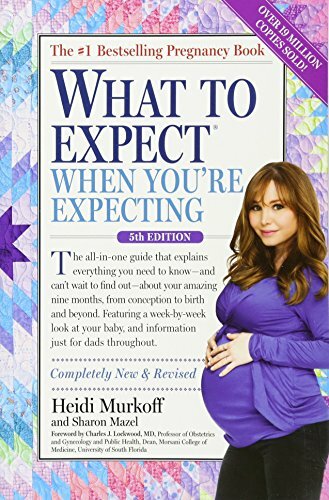 This updated version of “Expecting Better” was published in 2016 by Penguin Books. The original was published in 2013. Readable. “Expecting Better” is written in a mixture of narrative and informative styles. Four Formats. This book is available as a paperback, as a hardcover, as an audio CD and as an electronic download (Kindle or Nook). Chronological Order. The book is organized around conception, the first trimester, the second trimester, the third trimester and labor and delivery, which makes it easy to find the information you need. Length and Detail. At 336 pages, this book packs a lot of information into its pages. Scientific References. Oster provides endnotes for her sources, which are all scientific and medical journals. Well-Qualified Author. Oster is obviously a skilled researcher, and her assertions seem to be well supported. May Downplay Risks. Many readers felt that Oster downplays some risks, such as those associated with using alcohol while pregnant. Overly Personal. Some readers felt that Oster focuses too much on issues that personally concern her and does a less thorough job of other issues. If you think of pregnancy as involving your mind, body, and spirit, you’re probably the perfect audience for “The Mindful Mom-to-Be.” Subtitled, “A Modern Doula’s Guide to Building a Healthy Foundation from Pregnancy Through Birth,” this book offers some fairly conventional advice combined with some that are not so conventional, such as how to use visualization and journaling to prepare for motherhood. In addition to these spiritual exercises, Bregman also prescribes physical exercises, some yoga-based. She offers nutritional advice, recipes, and information about natural supplements. She also includes checklists and birth plans that can be tailored to a person’s individual needs. 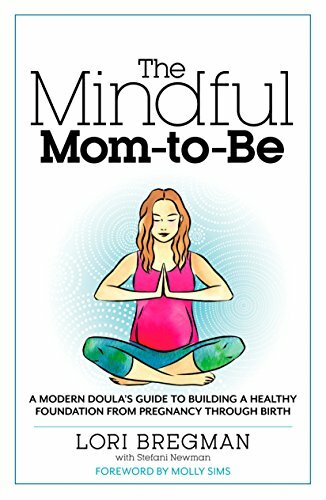 “The Mindful Mom-to-Be” was published in 2015 by Rodale Books. Readable. “The Mindful Mom-to-Be” is written in an upbeat, easy-to-read style. Chronological Order. The book is organized by months, with the last chapter being devoted to the month after delivery. Length and Detail. This book has 320 pages, but exercise diagrams take up quite a few pages. Well-Organized. The book follows a logical organization and has an extensive index. Well-Qualified Author. Bregman has a wealth of experience in this field. Few Scientific References. Bregman does not provide citations for her information. Too New-Agey for Some. The book’s spiritual exercises aren’t for everyone. A pregnancy guide that’s actually three books in one, “Pregnancy, Childbirth and the Newborn” is comprehensive in its scope. It’s the product of five authors who have an assortment of credentials, including a registered nurse, doula, childbirth educator, and physical therapist. The book doesn’t follow a week-by-week or month-by-month pattern but instead devotes a chapter to major concerns, such as “Eating Well,” “What Childbirth Is Really Like” and “Caring for Your Baby.” It is chronological in that pregnancy topics come first, followed by childbirth and then by child care. The book is user-friendly, with lots of bulleted lists, charts, and illustrations. Citations are supplied at the end of the book, which also includes helpful features like a list of resources and a glossary. “Pregnancy, Childbirth and the Newborn” is a product of the Parent Trust for Washington Children. First published in 1979, this book has been periodically updated, most recently in 2016. Readable. “Pregnancy, Childbirth and the Newborn” is written in a straightforward objective style, but it is still reasonably easy to read. Paperback Format. This book is only available as a quality paperback. Length and Detail. This book is 512 pages long and is packed with information. Many Extras. The book has detailed calendars for each trimester, plus a “road map of labor.” There’s also a companion website. Illustrations. The book contains some anatomical drawings, as well as black-and-white photographs. Well-Organized. The book has a detailed table of contents and index, making it easy to find information. Objective Tone. The book’s authors present pregnancy and childbirth as a natural, healthy process but show very few other biases. Well-Qualified Authors. The authors have a comprehensive assortment of credentials. Scientific References. The authors provide citations for their sources in the back of the book. Lacking in Interest. Some readers felt that this book was not engaging and was too much like a textbook. Lacking in Pregnancy Information. Some readers felt that this book does a good job of explaining childbirth but doesn’t have enough information about the months leading up to birth. 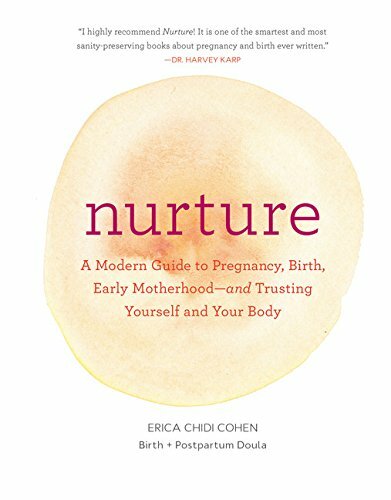 “Nurture” is subtitled “A Modern Guide to Pregnancy, Birth, Early Motherhood – and Trusting Yourself and Your Body,” which gives you a good idea of what to expect between the covers. The author is a doula, and in this book, she shares many of the tips and techniques that she teaches in her practice. This book emphasizes the emotional aspects of pregnancy and giving birth more than the usual pregnancy book. The author has catchy names for many of the exercises, from the 5-Minute Reboot to POP (pause, onboard an emotion and proceed with awareness). Still, there is solid information about the physical aspects of pregnancy and childbirth. The author also deals with touchy subjects, such as sexual abuse in one’s past. The book begins with “Welcoming Change.” The next chapter has three parts, one for each trimester. The third chapter covers the birth itself, and the last chapter covers the postpartum phase. At the end of the book, there is a resources section that lists some of the items that you’ll need for your pregnancy and later for your baby. “Nurture” was published in 2017 by Chronicle Books. Readable. “Nurture” is easy to understand but not simplistic. Two Formats. This book is available as a paperback and as an electronic download (Kindle or Nook). Up-to-Date. The book feels thoroughly modern. Length and Detail. This book is relatively short at 256 pages, but the author packs a lot of information into those pages. Non-Judgmental. Readers said that this book is written in a way that feels accepting of individual choices. Well-Qualified Author. Cohen has a lot of experience in pregnancy and childbirth. Few Scientific References. Cohen does not provide citations for her information. Too Introspective for Some. The book’s self-awareness exercises aren’t for everyone. The best all-around pregnancy book is “Mama Natural’s Week-by-Week Guide to Pregnancy and Childbirth.” Here’s the thing. This book is crunchy, but not too crunchy. In other words, the author recommends common-sense ways to have a natural pregnancy and childbirth, but she is never alarmist or judgmental. And the majority of the information in the book isn’t about natural choices. It’s just solid information and common-sense advice. Mostly, though, Mama Natural’s book is a winner because you’ll actually read it. It’s witty and honest and never judgmental, just like chatting with a trusted friend. And you’ll remember much of what she says because she puts it in the context of a story or ties it to a memorable factoid. The book is easy on the eyes, too, with appealing illustrations and an attractive layout. The pages never feel cluttered or busy, which is refreshing for moms with a lot on their minds.